Roth Concept Innovations, LLC (RCI or Roth Performance) was founded by Mark and Cyndi Roth with the mission to provide a cost effective solution to the never ending capacity problem for the shotgun platform. Our first product line, the XRAIL Systems, was conceived in 2006. The inventor, Mark Roth, designed, patented and trademarked it. The design was then prototyped, tested and re-engineered to lower the weight to the gun, without compromising the durability and reliability. The XRAIL (full and compact model) was first manufactured by RCI in September 2009 and given to a test market. In January 2010, a revised version was manufactured and launched to the public for sale at the 2010 SHOT SHOW. We’ve since retired the Add-on version XRAIL Systems but still make the Integrated XRAIL that is gun and all. Since then many more products have been prototyped, tested and then brought to market by Roth Performance/RCI. All Roth Performance products are made in the USA and Patented. 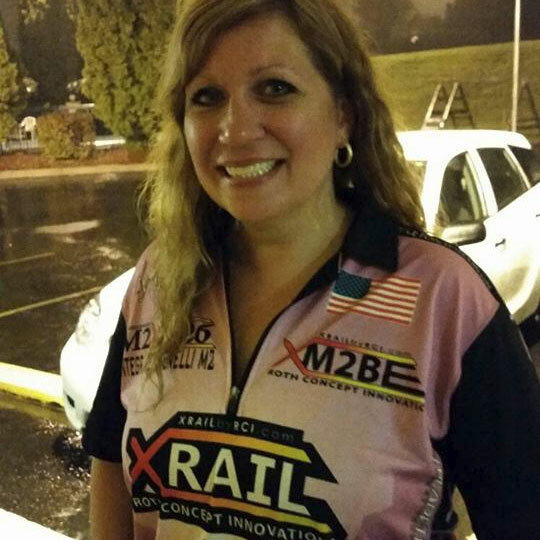 Our first product line, the XRAIL Systems, were conceived in 2006. The inventor, Mark Roth, designed, patented and trademarked it. The design was then prototyped, tested and re-engineered to lower the weight to the gun, without compromising the durability and reliability. Roth Performance’s mission is to make shotguns run at their top performance for the task, from military and law enforcement, to snow goose hunting, to competitive shooting. Whether you need high quality products or you need your gun raced up from Roth Performance Shop Custom Gunsmithing that can open your port to make loading a breeze, add sling attachment cups, add sights or lighten your trigger, Roth Performance has a solution. Roth Concept Innovations, LLC (RCI or Roth Performance) is an innovation company that develops new firearm products to solve problems or improves existing firearm products. RCI also has a Roth Performance Shop that customizes shotguns to make them into race guns. Roth Performanceis the ONLY manufacturer of the XRAIL Systems: Integrated XRAILs using Benelli M2 gun offering up to 28 rounds without reloading. From military and law enforcement, hunting to competitive shooting, if you need extra rounds in your shotgun (for less lethal such as crowd control or to shave time off your score in a competition match) or accessories, Roth Performance has the solution. Our clients are anyone who loves the second amendment, no matter if our products are used in their jobs, for play or to keep food on their table. In particular; home owners wanting security, hunters (particularly Snow Goose hunters), military and law enforcement, to our competitive shooters. Mark Roth is one of the founders of Roth Performance. He is a well known national 3GUN competitive shooter, hunter, and the inventor of the XRAIL System. 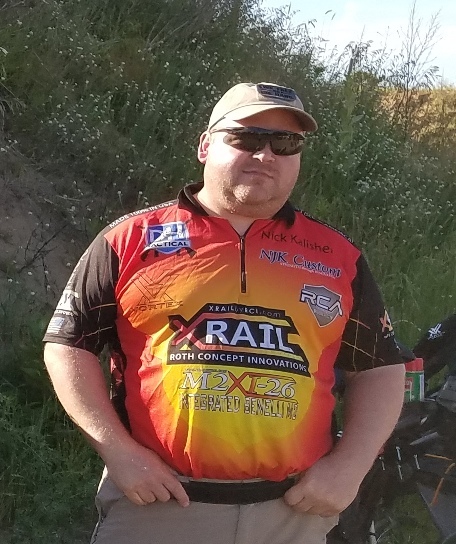 He started competitive shooting in 2006 as a hobby and now is consistently in the top 5 in division and top 10 overall in all national 3-gun matches and shotgun matches since 2012. His average schedule since 2011 has been shooting 12 to 15 Major Matches including 3-gun Nation Regional Series and the most popular Outlaw 3-gun Matches throughout the US. He has several first place titles including 2013 and 2014 1st place Open and Overall winner-Nordic Components Shotgun Championships (2nd place 2015), 2013 1st place Open Division Champion – Rockcastle Tactical Shotgun Championship, 2014 1st place Open and Overall winner- Benelli Tactical Shotgun Championship and 2013 2nd Open division Task Force Dagger 3-gun Championship. 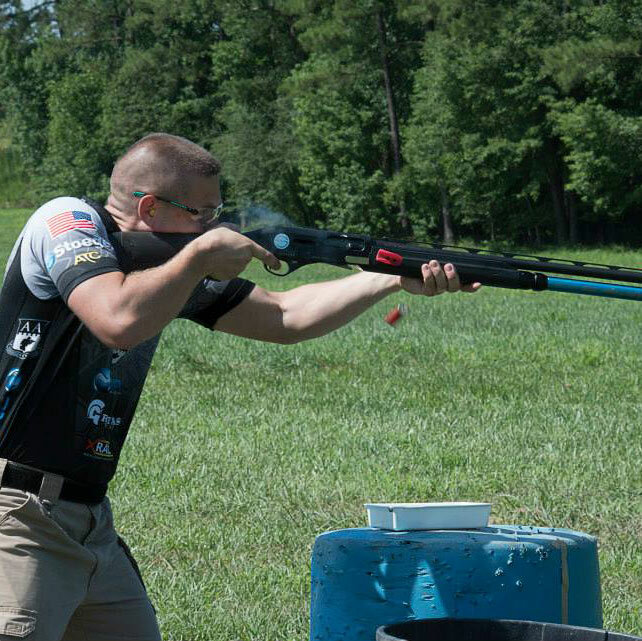 He also was chosen to represent USA in Debrecen, Hungry for the 2012 IPSC Shotgun World Championships. Cyndi Roth is one of the founders of Roth Performance. She is a national 3GUN competitive shooter in Tac-Ops division. Cyndi started competitive shooting in 2014 after having been a supporter and stand cheerleader for years at many national matches for her husband, Mark. One day at Rockcastle in 2014, she decided it looked like too much fun to just watch so she picked up some guns and went to the range. Since then, she has participated in matches from the 2014 and 2015 Brownells Lady Matches (GA, SC), 2015 Remington Shotgun Challenge, 2015 Nordic Tactical Shotgun Challenge, 2016 & 2017 Nordic/Vortex TriGun match, 2017 AGAG Fall Fest, to local matches. Her favorite matches are shotgun only (also favorite gun) but there are very few of those matches left. Jason started competitive shooting in 2010, shooting bowling pin matches. That was followed by competing in IDPA and was quickly followed by USPSA. It wasn’t long after that that he started competing in the sport of 3 gun. 3 gun is now his main focus, with USPSA supplementing the pistol practice and every shotgun match he can attend for honing his shotgunning skills. Nick Kalishek is a team member of Roth Performance. He is a 3GUN competitive shooter and a Grand Master Pistol Shooter. Our newest Roth Performance team member, Rush Roth has been shooting with his mom and dad for years but needed to get big enough to shoot his long guns without a bench. Now in 2016 at 11 years old, Rush is starting to compete in 3 gun competitions at a local level. Since he is still vertically challenged, he can’t always reach all the ports but he is extremely accurate and has great safety awareness. It won’t be long and he will be competing nationally. He also enjoys pheasant hunting and deer hunting. The Yackley 5 consists of Mark, Becky, Tim, Sean, and Andrew Yackley. 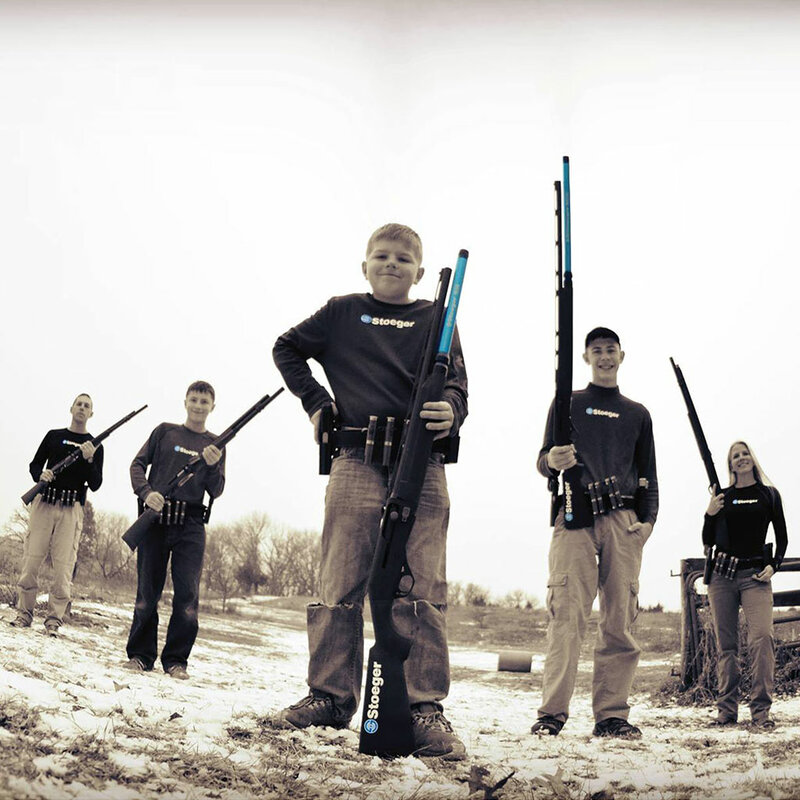 This family of shooters is no stranger to 3-Gun competitions, having competed all over the country. Becky has been shooting competitively for over 25 years. 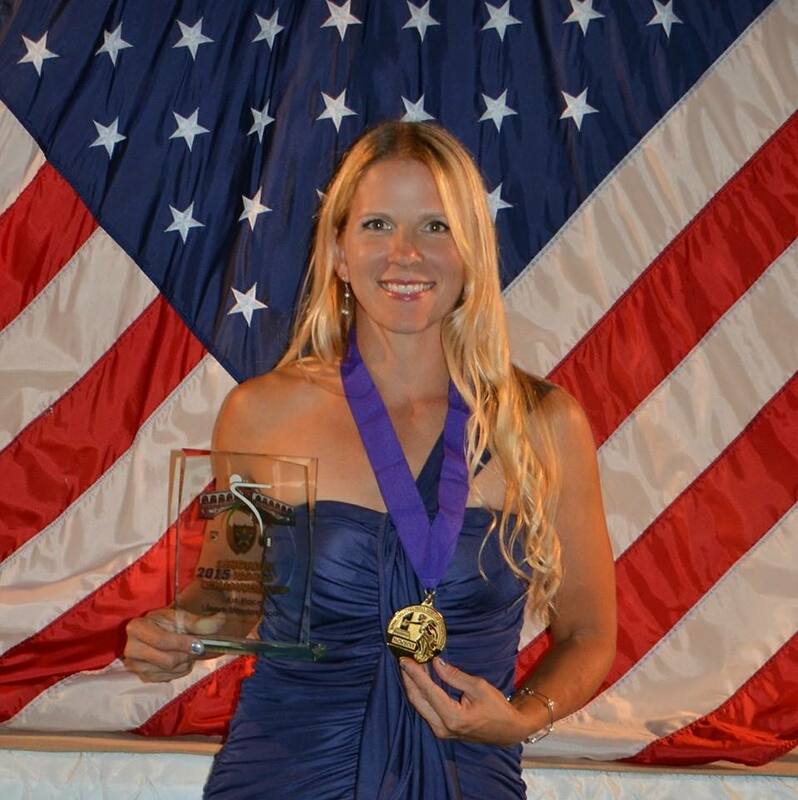 Her background ranges from high power service rifle to collegiate air rifle and air pistol, summer biathlon, Palma rifle, USPSA, and 3-gun. Becky is currently on the USA Ladies Standard Team for the IPSC Shotgun World Shoot in Italy. She also finished 3rd Lady in Production Division at the 2015 Bianchi Cup. When she isn’t shooting, Becky is busy with her camera and her work can be seen in Outdoor Life, Gun Up magazine, and various industry publications. This year she also will be on the televised 3-Gun Nation Ladies Pro Series. 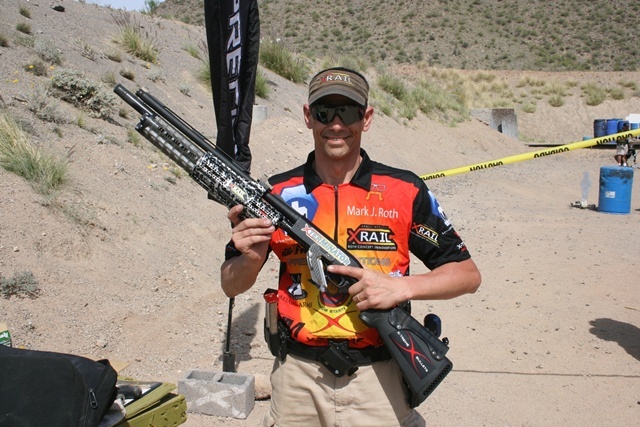 Mark has been competing in various shooting sports for the last 25 years. His background varies from All-American in collegiate air pistol, years shooting small-bore, air rifle, high power, USPSA, and 3-gun. Mark is currently on active duty with the Marine Corps, and his other job is with the Wisconsin State Patrol where he works as a state trooper and as a firearms instructor. Tim has been shooting competitively since he was 14. 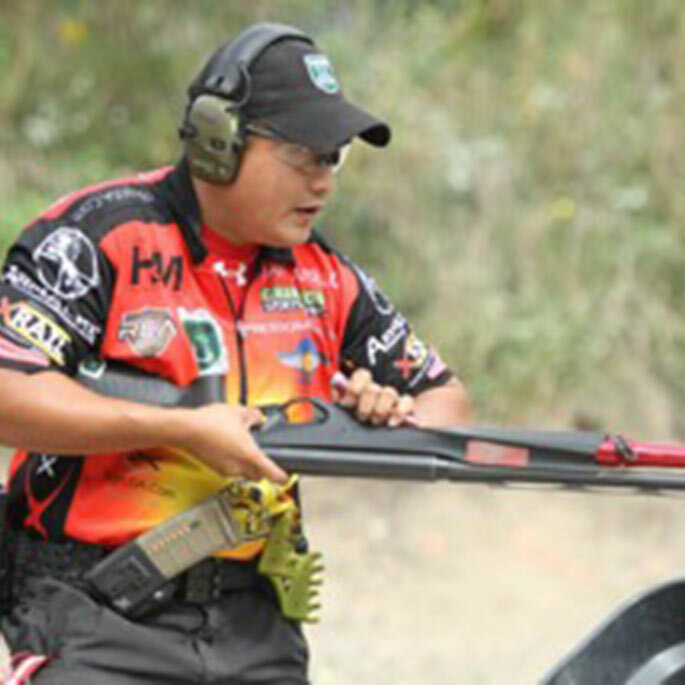 He has competed in USPSA, 3-gun, Palma Rifle, practical shotgun, and multi-gun events. 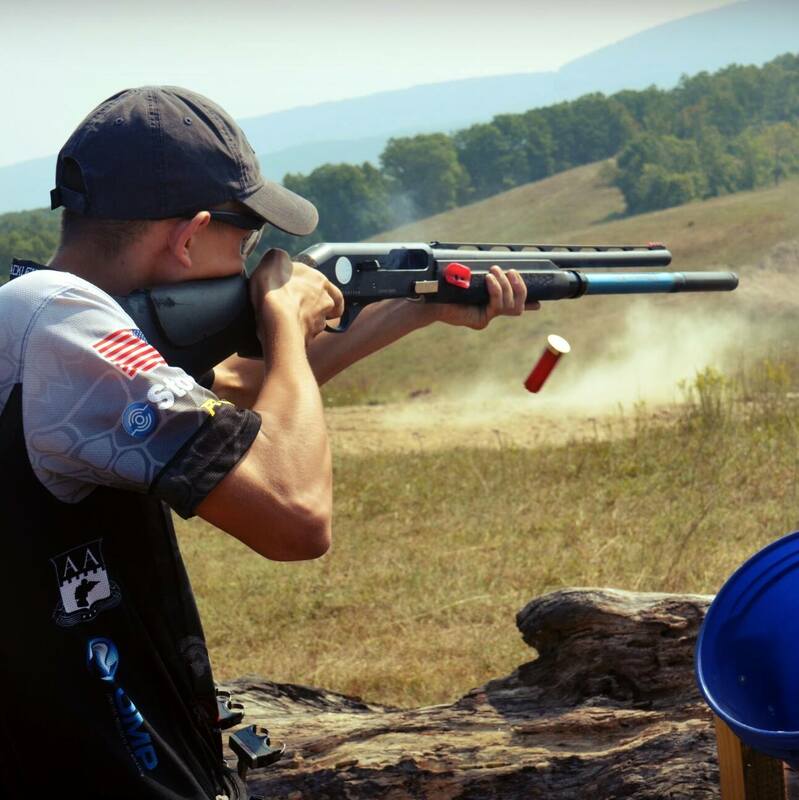 He is the current junior National Champion for The Bianchi Cup and is on the USA Junior Team for the IPSC Shotgun World Shoot in Italy. 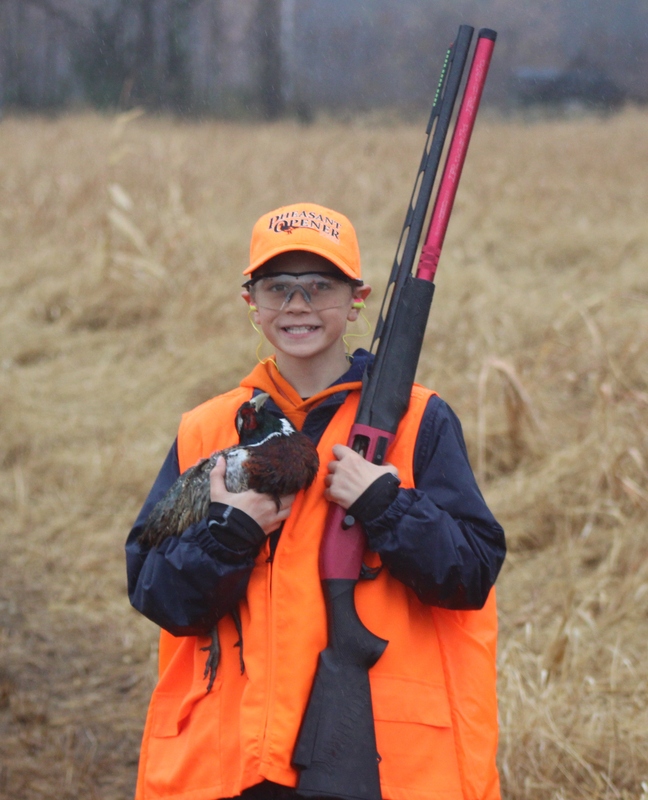 Tim’s smooth and clean shooting style has earned him finishes in 3-gun matches that make the adults take notice. 2014 and 2015 have left him with many high junior awards and match finishes in the top 10%.